When people get behind the wheel while intoxicated, they risk not only causing an accident but also inflicting serious injuries on themselves, their passengers, and other people on the road. Since alcohol impairment makes it hard to stay in the proper lane, for example, drunk drivers are more likely to cause head-on collisions. High-speed accidents are also common among drunk drivers since alcohol impairs decision-making and the ability to maintain a constant velocity. In both head-on collisions and high-speed crashes, traumatic brain injuries (TBIs) are likely to result. Fortunately, those who sustain a TBI in a drunk driving accident may be entitled to compensation for their medical bills and other damages. 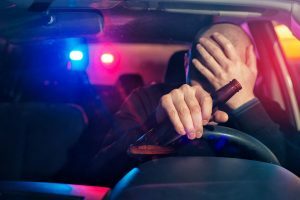 How Can I Prove Liability for a Drunk Driving Accident? How Can I Prove the Severity of a Brain Injury? TBIs are incredibly complex, and even extensive brain damage may not be visible on diagnostic images. As such, you should expect the opposing party to challenge the severity of your injury. Statements from friends, loved ones, and coworkers discussing the differences they have noticed in your personality, demeanor, and overall cognitive function since the accident. What Damages Might Be Recoverable After Sustaining a Brain Injury? If you want to file a traumatic brain injury claim in Massachusetts, contact Charnas Law Firm. Attorney Scott Charnas has helped hundreds of clients throughout New York and Massachusetts in personal injury and wrongful death cases. Call 212-980-6800 or use our Online Contact Form to set up a free case evaluation with a brain injury lawyer in Massachusetts.